Apple’s World Wide Developer Conference has many people buzzing this time of the year. I’ve described it as being similar to Christmas Day where the largest tech company on planet earth showers us in gifts and new technologies. Will this year’s announcements change the world like they did in 2008 when the App Store was launched? Or will it be anticlimactic like when U2 suddenly appeared in my iTunes library? The excitement and mystery surrounding the event is what makes it great. We’ve put together a list of what some of us here at Teeps loved most about this year’s WWDC. It’s only been a year since Apple announced their very own programming language, Swift, and shook up the development community. While Teeps has written nearly a dozen apps entirely in Swift, a large majority of iOS developers were hesitant to make the leap from the familiar, well-documented world of Objective-C. This was mostly due to Swift’s infancy and growing concerns of inefficient support available for developers. Fast-forward a year, Apple launches Swift 2 and declares the language will now be completely open source. This news ushers in a new chapter for Apple. They’ve chosen to deviate from their less than transparent tendencies and have opened up their libraries to developes for the first time. You can expect to see a larger spread of Swift across iOS applications. The Open source approach will foster a growing community around the language and enable Swift to mature into a powerful means to build mobile and desktop applications far into the foreseeable future. Swift 2 will include much needed refinements to the language that includes syntax imrpovements, easier testing, and overhaull to its error handling model. The focus for iOS 9 was stability improvements and freeing up storage space by reducing its overall size. We downloaded the closed beta of iOS9 on a few devices here and it ran into several major bugs. That being said, we imagine with the first ever, public beta (coming in July) and the official release in the fall, these issues will be smoothed out and deliver a great user experience. What feels like a feature that everyone, especially Samsung, has been criticizing Apple for stalling on is the ability to multitask on the iPad. This will no longer be the case with the introduction of new features like Slide Over, Split View, and Task Switcher. Users will finally be able to interact with two apps on the screen and can utilize a number of gestures to make navigating between multiple apps a breeze. We’re extremely excited about the potential of Apple Watch. In addition to building our own Apple Watch apps, we’ve spoken of their potential at several local tech events here in Orlando. The improvements with watchOS 2 will open the door for developers to build truly unique experiences for Apple Watch and shape the future of wearable technology. How this changes the future of Apple Watch Previously, Apple Watch apps were required to be an extension of an existing iOS app in order to function. 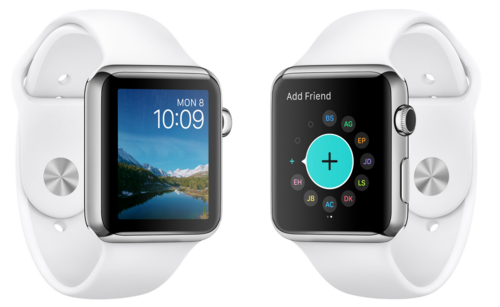 Now, developers can build native apps for Apple Watch and can create uses for the device that we have yet to imagine. It almost feels like the launch of iPhone and the endless potential for developers to build apps that truly change our day-to-day lives. Apple announced over one billion apps have been downloaded from the App Store to date and we expect a growing number of those to be native Apple Watch experiences in the coming years. Have an idea for a mobile app? Contact our team of passionate engineers and designers and let’s build something great together.